The construction of Cellular Jail started in 1896 and completed in 1906. Spread as seven spokes of a bicycle wheel, this unique three-storied structure was the first of its kind in India as it had 693 cells specially built for solitary confinement of the prisoners. Extraordinary feature of the Jail was the total absence of communication between prisoners housed in different wings since the front of the row of cells faced the back of the other. A two-storied building at left side near the entrance of the Jail was constructed to be used as Jail hospital. On the plinth of this building now stands the Martyr's Column. 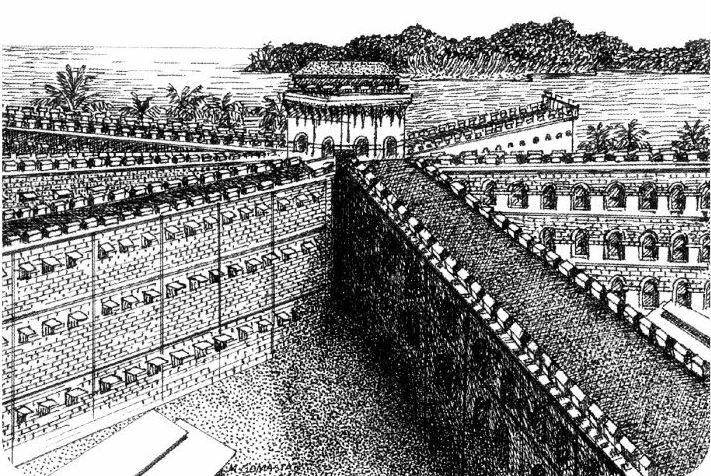 Near the compound wall at right of the main entrance is the gallows where three persons could be executed simultaneously with a separate door in the outer compound wall to carry our corpses. Many charismatic freedom fighters were imprisoned in this Jail. Savarkar brothers, Hotilal Verma, Babu Ram Hari, Pandit Parmanand, Ladha Ram, Ullaskar Dutt, Barin Kumaar Ghosh, Bhai Parmanand, Indu Bhushan Roy, Prithvi Singh Azad, Pulin Das, Trailokyanath Chakravarthy, Gurumukh Singh, etc. were incarcerated here among others. Revolutionaries involved in Alipore Bomb case, Nasik Conspiracy Case, Lahore Conspiracy Case, Chittagong Armoury Raid Case, Inter-Provincial Conspiracy Case, Gaya Conspiracy Case were also brought to the Cellular Jail under long terms of imprisonment. Today, the entrance block of the National Memorial houses Freedom Fighters Photos and Exhibition Gallery in the ground floor. The first floor of the building has an Art Gallery, Netaji Gallery and a Library on freedom movement. A gallery on First War of Independence and another gallery with rare collection of old photographs has also been set up in the premises. An eternal Flame "Freedom-Swatantrya Jyot" has been erected in the vicinity of the Cellular Jail in memory of all freedom fighters and martyrs'. Added attraction in the National Memorial is the programme of Sound and Light Show (Son-et-Lumiere). Added attraction in the National Memorial is the programme of Sound and Light Show (Son-et-Lumiere). Encompassing in its realm 160 years of history Netaji Subhas Chandra Bose Island is a tiny Island, situated at the entrance of Port Blair harbour. Lt. Archibald Blair surveyed the Island in March 1789, established a Colony and named it after the marine surveyor Sir Daniel Ross. Later the colony was abandoned. 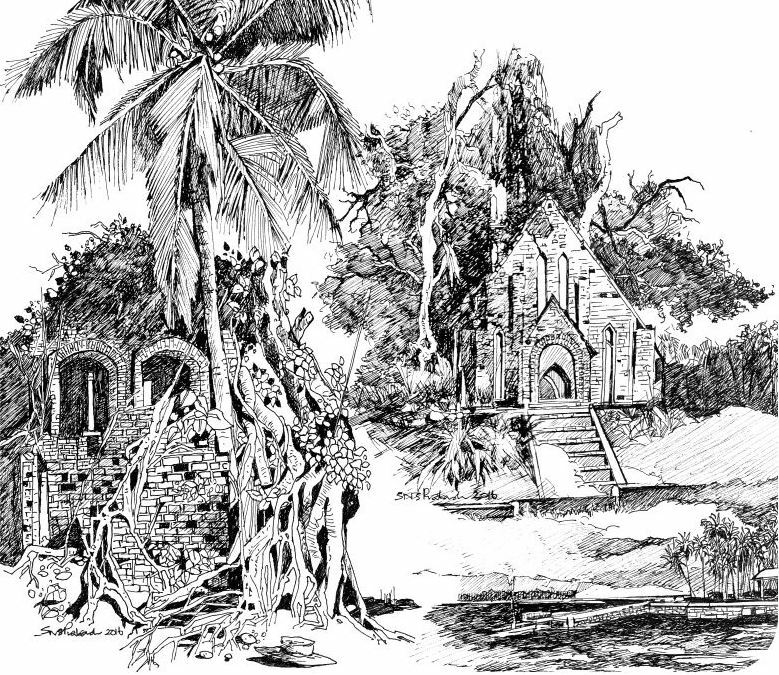 The British transported Indian freedom fighters to Andamans in the aftermath of the first war of Independence of 1857. The first batch of 200 revolutionaries arrived in March 1858. A number of them were sent to Netaji Subhas Chandra Bose Island. Gradually various Govt. functionaries and their residences including that of Chief Commissioner known as Govt. house came up. 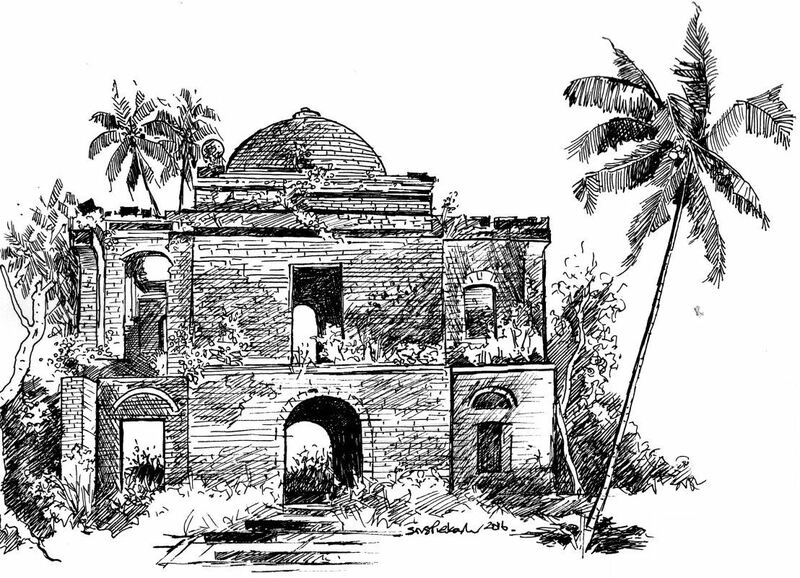 The Island became the citadel to rule the Penal Settlement of Andamans. During the severe earthquake of 26th June 1941, much damage was caused to the buildings. Subsequently the Japanese occupational forces in World War II demolished a number of buildings on the Island. 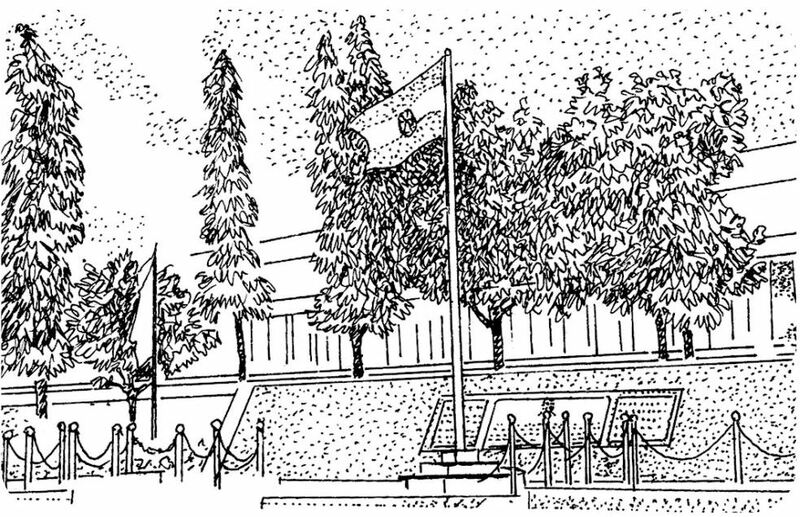 On 18th April 1979, the Island was transferred to the Defence Ministry. The Island has become a hot tourist spot today to view the ruins, and savour the glory of the bygone days. Recently, the Tourism Department has commissioned a state of the art Light and Sound show which is one of the best in the country. To keep alive the vibes of the past Navy has setup a museum 'Smritika - The Ross Memorial'. This is a small Island in the harbour named after one of the survey ships 'Viper'. 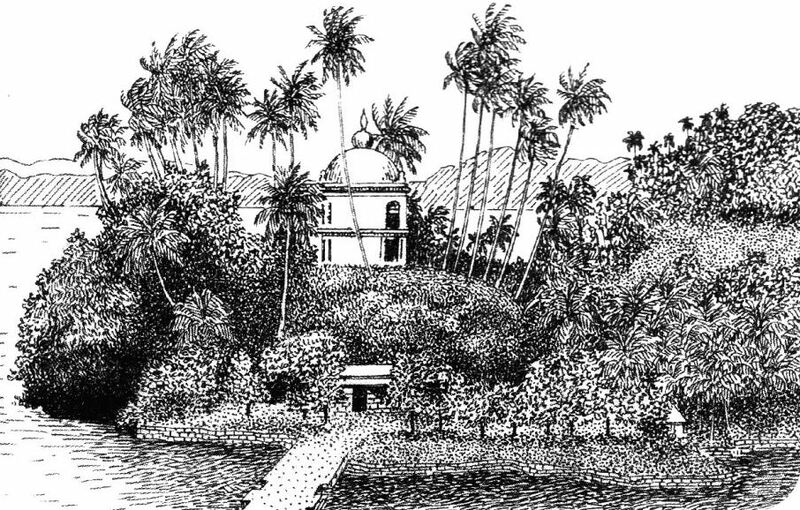 During October 1858, Superintendent J.P. Walker with the help of Indian freedom fighters cleared the jungle and made the Island habitable. By the year 1867, a Jail was constructed with gallows. The inmates were subjected to inhuman treatments like chain gang, coir pounding, grinding of cereals, oil ghani, etc. Sher Ali, the assassin of Lord Mayo was executed here on 11th March, 1872. On the report of the Jail Committee, and after the construction of the Cellular Jail at Atlanta Point, Viper Jail was closed down. After the Japanese occupied the Island, they extracted various materials for their fortifications by dismantling buildings and the Jail. The historical buildings are being currently restored by the Art & Culture Dept. today. 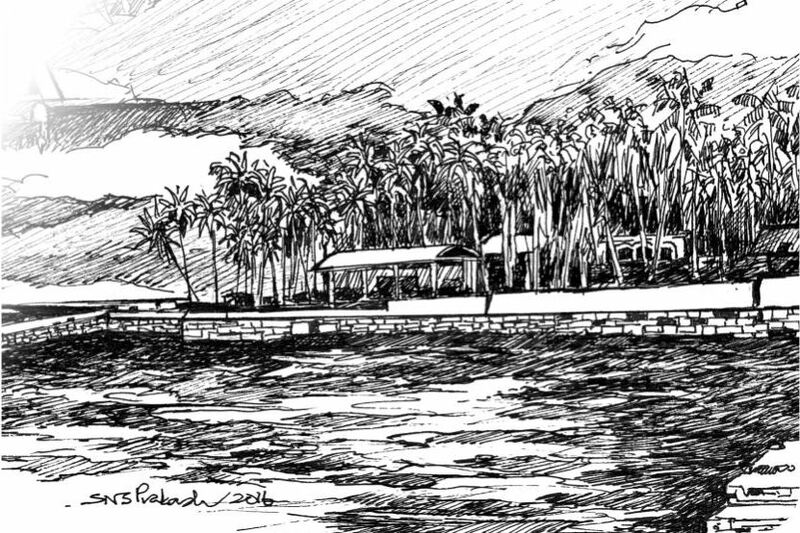 Earlier known as "Mark Island" this is a small island where Lt. Archibald Blair formed a colony during 1789 which was later shifted to North Andaman. After the First War of Independence of 1857, the British decided to establish a Penal Settlement on the island. The first batch of 200 freedom fighters of first war of Indian Independence of 1857 landed here on 10th March, 1858. Some persons who tried to escape from the island where hanged on recapture. Superintendent J.P. Walker executed 86 of those recaptured on a single day at a corner of the Island. Gradually, the settlement expanded. 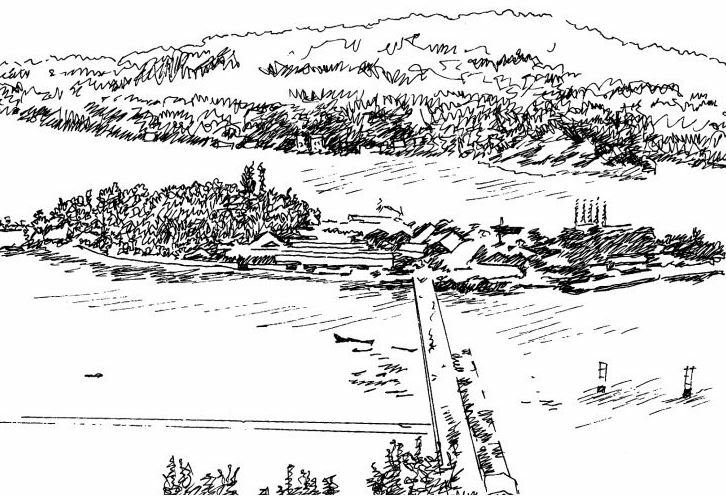 A small Saw Mill was commissioned which later developed as the biggest Saw Mill in Asia. By the passage of time, a jetty was also constructed for safe berthing of ships. During World War II, the Japanese occupied the Island. The Aircraft of RAF bombed the establishment of the Island. After re-occupation by the British, reconstruction works began. Lord Wavell, the Viceroy paid a visit at the end of December, 1945 to take stock of the damage. During the early 50's, an AC Power House was also commissioned. On 10th March 1954, the first President of India, Dr. Rajendra Prasad landed here by INS Delhi. During the celebration of 150th Year of Indian Settlement, a Memorial Column was installed to commemorate the arrival of 1st batch of Freedom Fighters. The Forest Department has a beautiful Museum here that showcases the forest wealth of the A & N Islands. 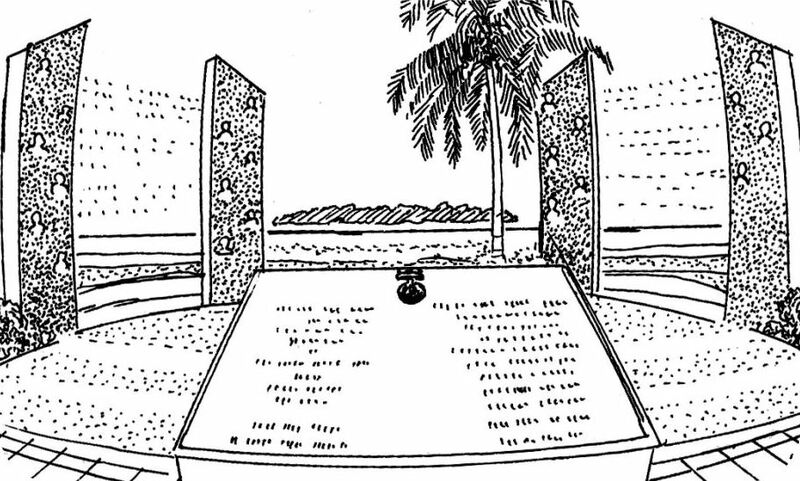 Located on the way to Wandoor (Jolly Bouy Island) / Baratang Island, "Balidan Vedi" the State Martyrs' Memorial stands as a mute symbol to the Japanese reign of terror in the islands. In the wake of World War II, most of the British left the Islands. With the Japanese occupation on 23rd March 1942, the unarmed India Penal Settlers / Islanders came under their control. Those patriots organised the Indian Independence League (IIL) and INA for participation in the freedom struggle movement. During the war, the British landed their spies in Andamans whose espionage activities caused heavy damage to the Japanese. The Japanese retaliated with brutal tortures against the locals which continued for months. 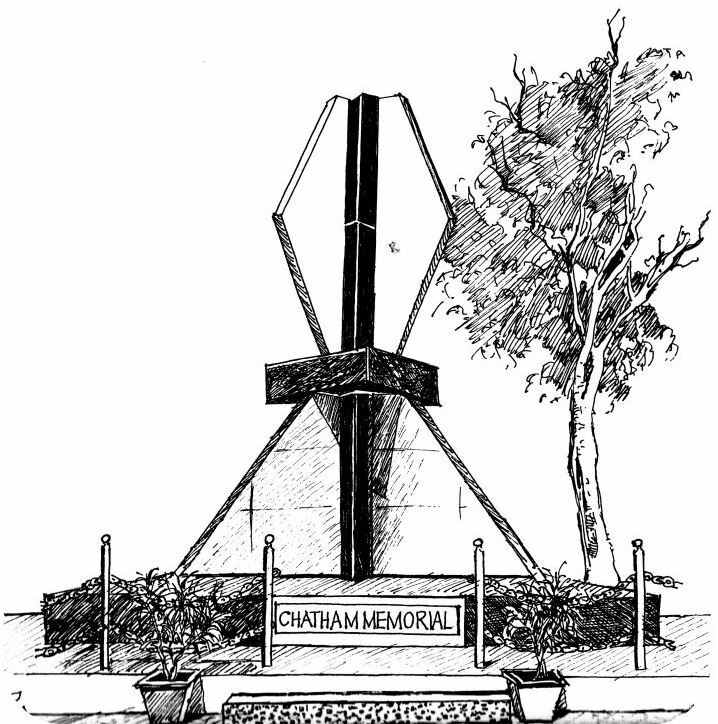 Seven islanders were shot dead on 30th March 1943 at Dugnabad sea shore. 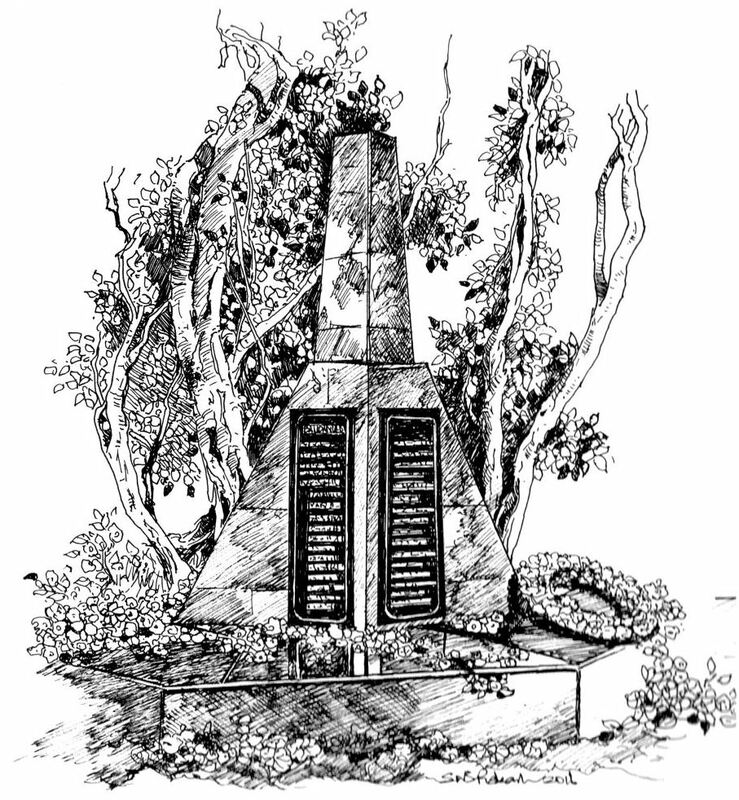 On 30th January 1944, Japanese took away 44 IIL members from the Cellular Jail to the village Humfraygunj on a hillock, shot dead and buried all the 44 members in an "L" shaped mass grave. In commemoration of those martyrs' supreme sacrifice "Balidan Vedi" has been erected. This is the place where Netaji Subhash Chandra Bose hoisted the Tricolor on 30th December, 1943 for first time on free Indian soil, much before India attained Independence. This is the place where the present Netaji Stadium stands. A commemorative function is held here every year on 30th December. 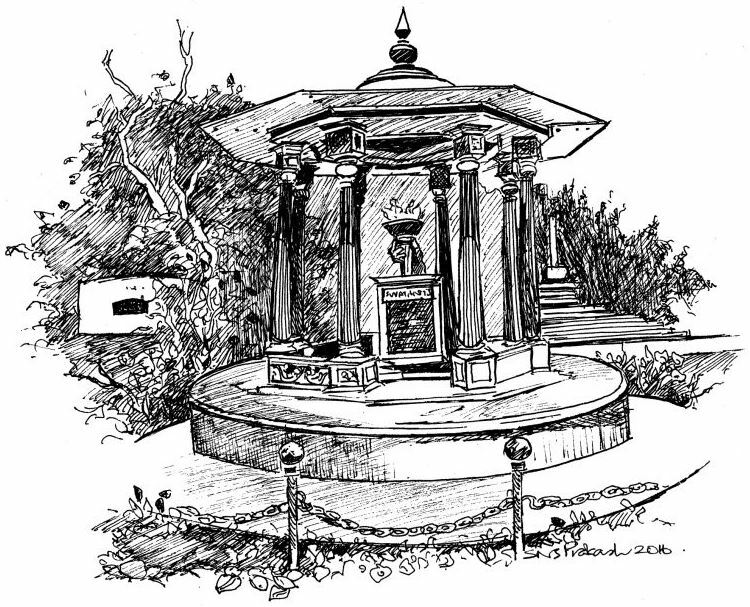 A Param Vir Chakra Memorial, first of its kind, erected at the picturesque Marina Park, Port Blair is another place in the Island that evokes patriotic feelings. Aberdeen is named after the place in Britain that Lt. Archibald Blair, the Great Indian Marine Surveyor who surveyed the islands in 1788, came from. Aberdeen was the main commercial centre during pre-independence period. During those days, it was a small town having a broad street on either side of which there were large prosperous shops, around which fine houses were built. Many of the Government Houses were located in Aberdeen.